This week we hear from Nicholas Dixon, of Pembroke College, Cambridge, on clerical influence in the reformed electoral system. It is one of the themes addressed in his PhD, which examines the Church of England’s influence on English politics and society during the early nineteenth century. 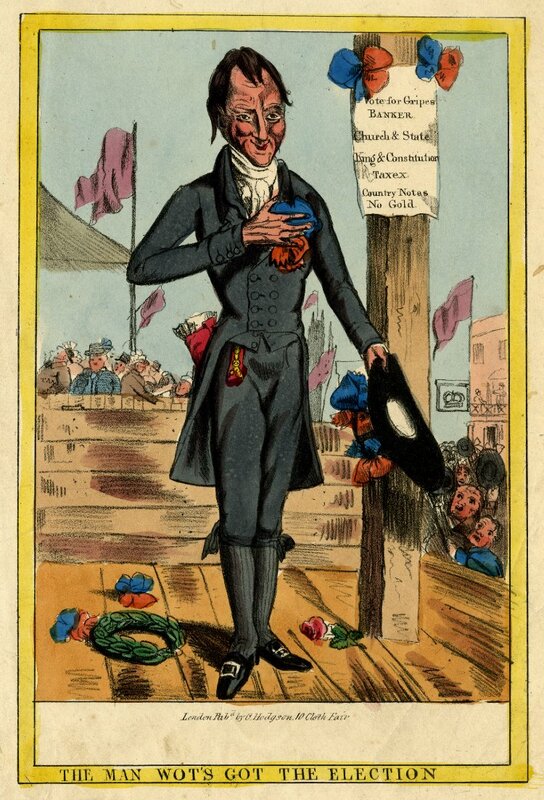 Following the 1832 election the Duke of Wellington asserted that there had been a ‘revolution’ resulting in a mass transferal of power from gentlemen ‘professing the faith of the Church of England’ to ‘the shopkeepers, being dissenters from the Church, many of them Socinians, others atheists’. Many historians have readily accepted Wellington’s verdict, seeing the 1832 Reform Act as the culmination of a ‘constitutional revolution’ in which Anglican political interests were irreversibly displaced. Yet, for other contemporaries, the Reform Act led to a strikingly incongruous phenomenon: the intensification of clerical influence over elections. In addition to local and personal factors, this process (which was already evident in the 1820s) was driven by a desire to respond to perceived threats to the Church that clergymen generally saw manifested in radical agitation, the Queen Caroline affair, Catholic emancipation, the reform crisis and dissenters’ campaigns. Clerical politicisation took many different forms. At its most basic level, it involved the clergy voting en masse for Conservative candidates. In the English county elections of 1832 the proportion of clerical votes for Conservatives proved consistently high: 78% in Durham North, around 80% in Nottinghamshire North and 84% in Sussex East. In 1835, 89% of clerical votes in Lincolnshire North were cast for the Conservative candidates. Voting was more split in boroughs, but overall, the picture was one of Conservative dominance with pockets of Whig support. 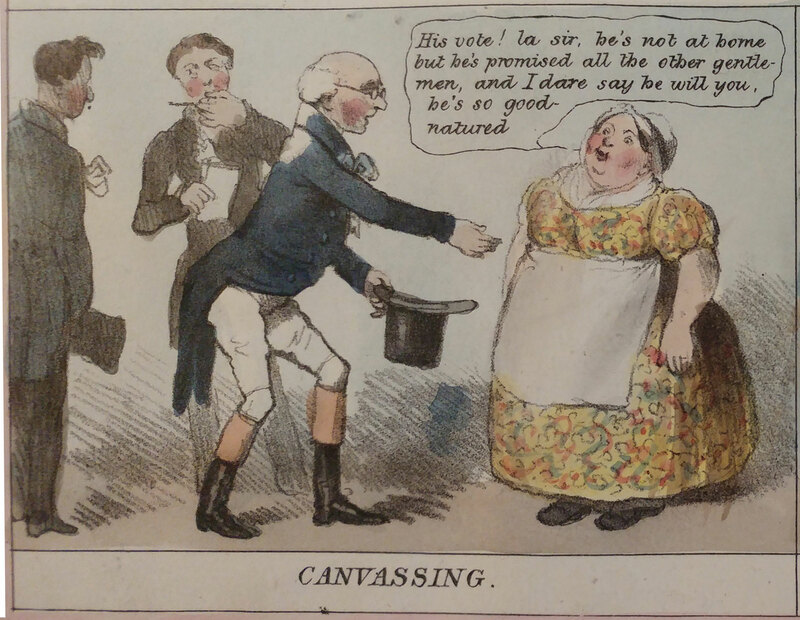 Clerical canvassing had been a common activity since the eighteenth century, but in the 1830s it reached new heights of force and assertiveness. In Berkshire in 1832, a clergyman informed a freeholder that should the Conservative candidate not be elected, ‘we cannot expect the blessing of God upon our public measures.’ And in 1837, a Cheshire rector Joshua King denounced the local Whig candidate George Wilbraham as a ‘radical revolutionist’ and ‘inhuman monster’. During the same election at Maldon, a flag in Conservative blue was flown from the tower of the parish church, and in Surrey in 1835 a Whig supporter had his ‘reform colours’ trampled by a local clergyman. In several constituencies the clergy openly boycotted tradesmen with whom they had political differences. In every case, those involved appeared to be unconcerned by the publicity which their public statements and actions invited. The expanding newspaper press offered further outlets for clerical electioneering. Following the 1832 election, an anonymous curate wrote to the Staffordshire Advertiser that he had ‘been told that I have completely blasted all hopes of preferment in my profession by supporting a Tory’ but that he ‘would rather live and die a poor curate’ than support the Whigs. 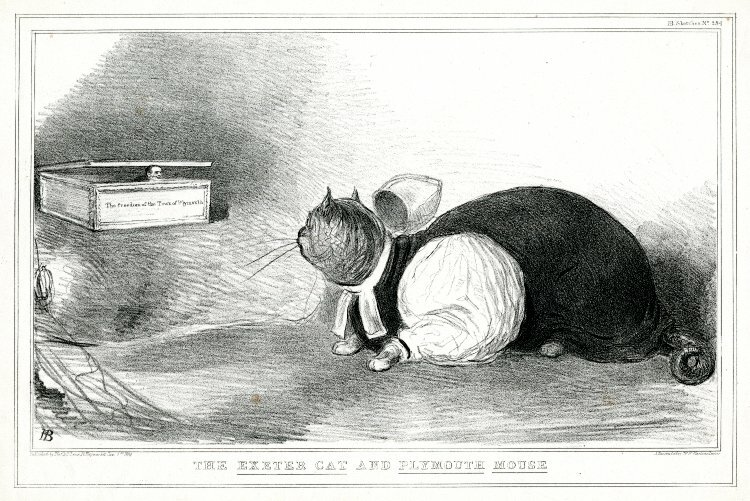 Clergymen of the opposite persuasion also used the press to promote partisan views. In an address printed in the Northampton Mercury in 1835, Henry Rolls, a rector, argued that Lord Melbourne’s alliance with Daniel O’Connell did not threaten the established church. Furthermore, the clergy took a prominent part in the celebrations that followed the victory of their favoured candidates. Most were not as exuberant as the curate who, according to one newspaper, celebrated the victory of Francis Burdett in North Wiltshire in 1837 by ‘chairing him per substitute, through [Ashton Keynes]’ and waving a flag inscribed ‘Burdett and Liberty’. Victory speeches by clergymen were also a feature of poll declarations and dinners given in honour of successful candidates. 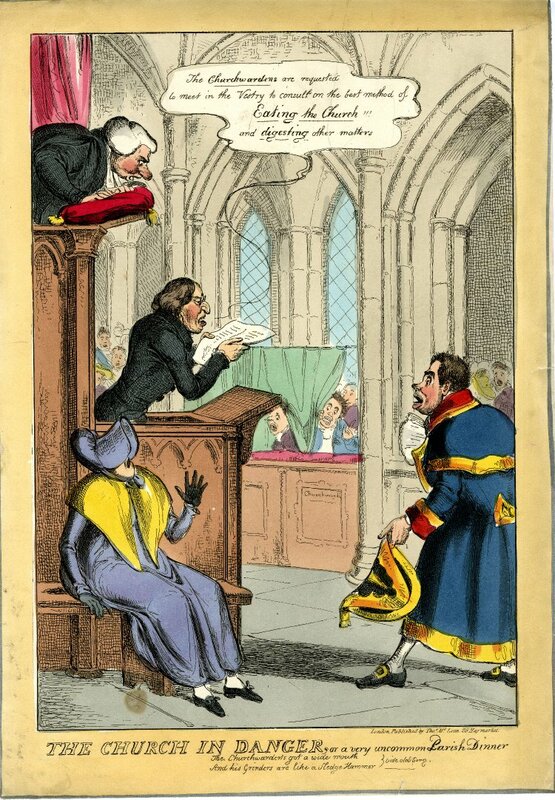 By strenuous activity, the clergy demonstrated that parliamentary reform did not, as Wellington had predicted in 1832, spell the end of Anglican electoral influence. If anything, this influence was now augmented by the newly emergent Conservative associations, in which clergymen played a prominent role. Conservative clergy adapted well to the post-1832 requirement for an annual registration of those eligible to vote, closely supervising this process to ensure that Conservative voters were extensively registered. Accordingly, the Whigs’ losses in the general election of 1837 were principally attributed by one of their supporters to ‘the violence and activity of the Clergy’. The clerical factor in English politics had conspicuously assumed a permanent and effectual form. This entry was posted in Elections, Guest blog and tagged Church of England, clergy, clerical influence, religion. Bookmark the permalink.